Blending two of the world's most luxurious materials, the silk and cashmere infused cover provides both warm and breathability to promote a consistent, sumptuous rest no matter the season. 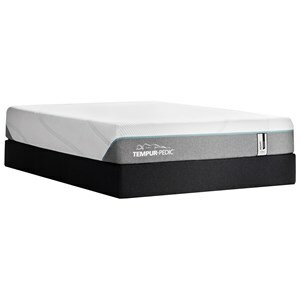 The LX8 Lux Estate Queen Euro Pillow Top Mattress and Reflexion 7 Adjustable Base by Stearns & Foster at Thornton Furniture in the Bowling Green, Alvaton, Glasgow, Scottsville, Franklin area. Product availability may vary. Contact us for the most current availability on this product. The Lux Estate collection is designed to showcase only the very best. Cashmere infused quilts add an extra feeling of luxury. Each bed is hand tufted, using quality materials such as a cotton and wool insulator and latex specialty foam. Transform your ordinary sleep experience into a lavish one with the Estate collection. The LX8 Lux Estate collection is a great option if you are looking for Mattresses in the Bowling Green, Alvaton, Glasgow, Scottsville, Franklin area.